The world, especially in arena of business, is very busy nowadays. In the days before globalization, customers would go to places just to close a transaction or render a service. But because of the increasing demand of productivity, it does not work that way anymore. Also, because of the soaring high prices and the economic crisis we are experiencing today, all companies are looking for ways to save money and to cut down on expenses. Federal Express (FedEx) and UPS are both logistics company which specializes in cargo and freight forwarding. Shipping services sometimes plays a part in answers to cost cutting problems of some companies with regards to having their products delivered in different places and countries. FedEx Corporation and UPS Corporation, both logistics companies, cater to people by making door to door deliveries locally and internationally. Both these companies have ground and air shipment types and both have various prices. With regards to employees and the forming of unions, FedEx stands its grounds for not allowing these groups by a certain labor code. 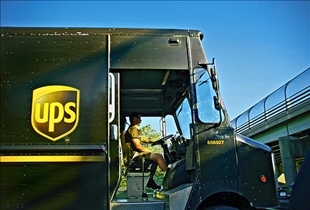 UPS on the other hand allows their employees to form unions and this means employees of the latter have some advantage when it comes to salary increases, retirement benefits and other employee benefits that are enjoyed by other employees from other companies. Both FedEx and UPS have the same shipping options which are done through air and by land. However, when it comes to land transportation, UPS is leading due to the fact that the ground services offered by UPS are 5 times larger than that of FedEx. On the other hand, when it comes to shipment via air, FedEx is the leader. Statistics have shown that FedEx gets 25% more air shipments than UPS does. When it comes to rates, both of these companies vary in prices by just a dollar or a few. Some of the services they offer have the same rates as well. But just recently, both these companies have adjusted their pricing scheme due to increasing fuel prices. FedEx has slowly gained in competition with UPS in terms of revenue. 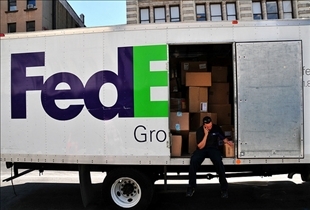 In a year, FedEx averages about $22 billion in sales while UPS averages $30 billion a year. Sometimes you just have to face the fact that a company’s success is best measured by its results of operations. When it comes to the selling rates of their shares in the stock market, UPS is still number one with their stocks valued at $82 billion, while FedEx trails by a large margin selling only $22 billion dollars in stocks. Both FedEx and UPS companies are logistics providers which can deliver your goods from anywhere around the world to your desired destination within 24 hours. Both FedEx and UPS have the same services offered which are categorized to air and land shipments. FedEx being the number one in air freight forwarding and the UPS being number one on the ground because of its large network. Prices are basically the same for both FedEx and UPS. And both of them, due to the economic crisis and high soaring prices of primary goods, they have both increased the rates of their services. Which is best package delivery service? Ill tell you what, that isn't the case with me, FedEx doesn't unserstand the word Fragile, while UPS, does, and I've always noticed that UPS comes a few days short of the estimation. They are wonderful, but the thing about ALL shipping services, is that the quality of the service is inconsistent due to location of the reciever. Don't get me wrong, I love FedEx, at times. Fedex dropped my package 2 blocks over!! UPS saw it and then brought it to me! UPS WINS!